In 60 days, ISPs will have free reign over the internet. On December 14, the Federal Communications Commission (FCC) voted to repeal Obama-era net neutrality regulations. Today, the commission put the decision in writing, formally publishing it in the Federal Register, a government website that serves as the official ledger of federal agency rules. So, what does the publication actually mean? Recording the FCC’s repeal of net neutrality in the Federal Register doesn’t put the new laws — or, more accurately, lack of laws — into effect. What it does do is act as a starting pistol of sorts for repeal opponents. Starting now, Congress has 60 “session days” to pass a resolution reversing the FCC’s decision. As of last month, exactly 50 senators claimed to oppose the repeal, so even a single additional senator would be enough to give repeal opponents the majority in the Senate. Now that the FCC’s decision is in the Federal Register, state attorneys general and advocacy groups can file lawsuits challenging it. A group of more than 20 attorneys general, including New York’s Eric Schneiderman, has already announced its plan to legally challenge the repeal, as have a number of other groups, including the National Hispanic Media Coalition, Public Knowledge, and Free Press. While the filing may feel like the final nail in the coffin, so to speak, the fight for a free and open internet is far from over. For some, the hard work starts now, especially for net neutrality-supporting elected officials and advocacy groups, who are facing an uphill battle. Even if repeal opponents do comprise a majority in the Senate, any resolution they pass must then go before the members of the House of Representatives, who will likely shoot it down. Assuming it somehow did pass in the House, the next stop would be the desk of President Donald Trump — who would more than likely veto the resolution. As for lawsuits, those take time. A judge could grant an injunction preventing the repeal from going into effect during adjudication, but that’s probably not going to happen. 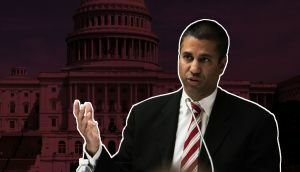 It’s far more likely that the repeal will go into effect in 60 days as planned, giving internet service providers (ISPs) the ability to take advantage of the FCC’s decision while any lawsuits make their way through the court system. Ultimately, today’s filing simply confirms that the FCC has every intention of moving forward with the repeal of net neutrality, and unless something happens to stop them, the free and open internet will die sometime around April 23.